What helps business owners to get their entrepreneurship to the whole another level? Well, that’s definitely a professional presentation of their biz and spreading a word about it. In fact, all and everyone is looking for this or that ways on how to promote his business. And, believe it or not, but the answer is right in front of you. All you need to spice up your biz is a high-quality website that will increase your conversion rate and, as a result, your income. To say more, it is unnecessary to ask web developers to make you a site from a scratch. There are a lot of ready-made website templates at your disposal that allows you to create a pro presentation of your biz. In fact, there are a lot of website templates that will meet your expectations. However, we would recommend you WordPress as the most user-friendly content management system. WordPress themes are easy-to-use and pre-loaded with a wide range of top-class features. Thus, it will take you no effort to launch a great website even without any programming knowledge. To say more, we have prepared for you a list of the best business WordPress themes that will help you to upgrade your biz and enrich the target audience. So, let’s check these best business themes closer! 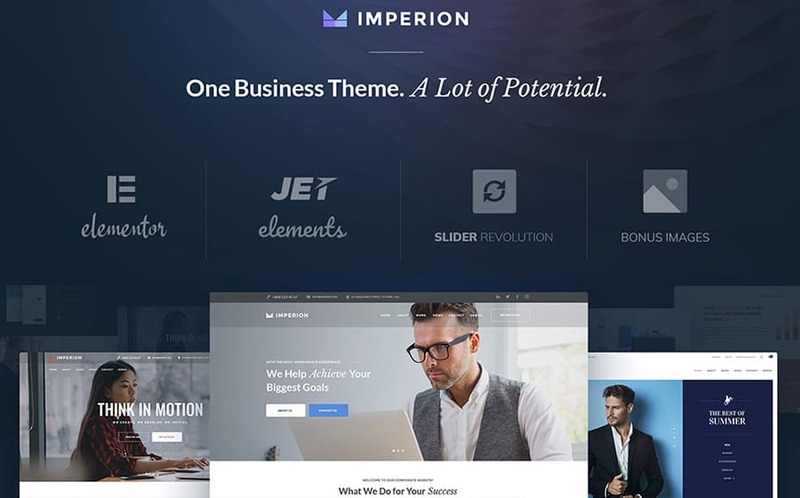 This multipurpose WordPress theme would be a great solution for every business owner. There are a lot of up-to-date tools that will help you to represent your corporate, agency, firm, or company from the best side. Moreover, the theme allows you to save more than $600 on the plugins that come with the theme. In fact, this corporate WordPress theme is a multipurpose solution for your business. 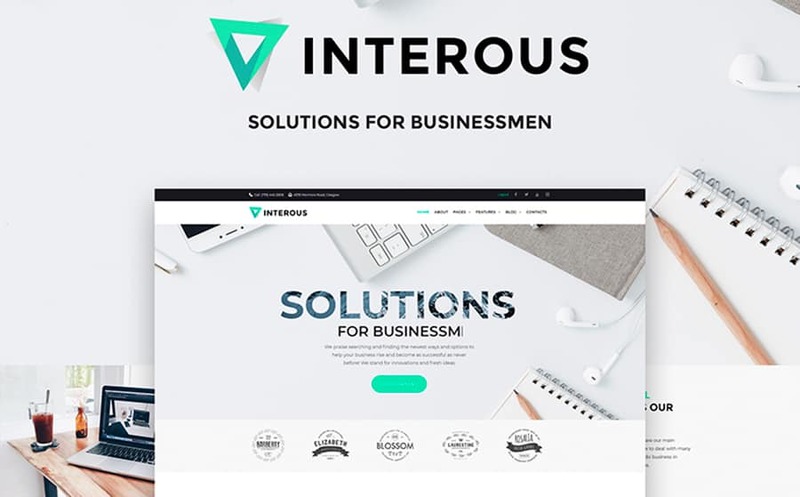 Interious is a clean WordPress theme with a sleek design that will definitely capture the target audience. You are very welcome to take advantage of a huge variety of pre-made pages for all occasions. To say more, it will take you no effort to manage the pages and the theme itself thanks to an Elementor – modern page builder. All the process is intuitive and user-friendly. 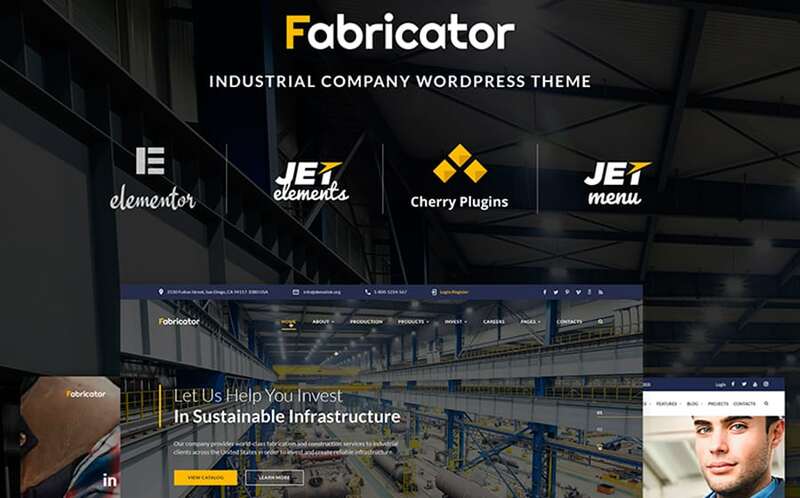 Fabricator is a great solution to spice up your industrial company. Modern functionality together with a catchy design allows you to promote your business and increase your profit at a glance. In addition, here you have an easy-to-understand documentation, which will help you to explore the theme within a couple of minutes. 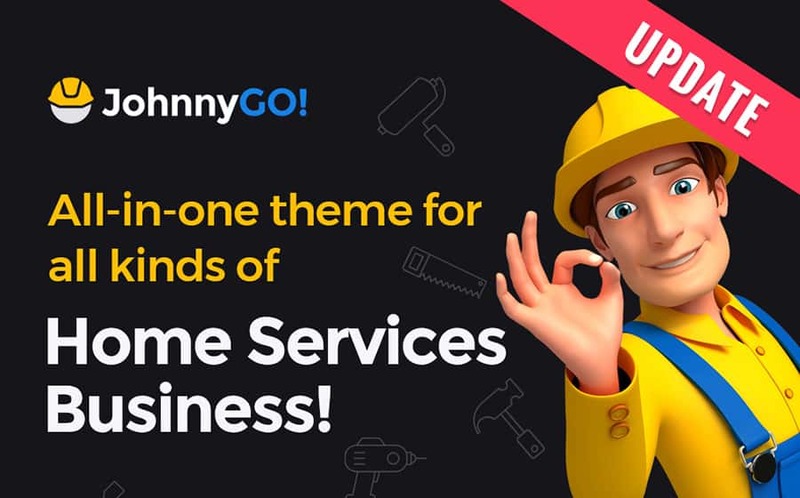 JohnnyGo is a marvelous WordPress theme with a wide range of options for the home services business. Here you have a lot of pre-made skins, thus, it will take you just a bit of time to set up the theme and make it live. Moreover, there is no need to have any programming or coding skills to handle this theme. Everything is easy-to-use and ready-to-go. 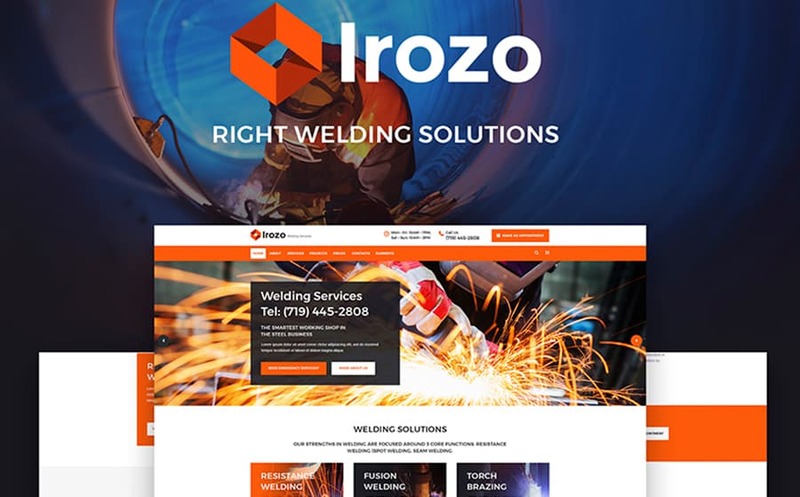 Irozo is a modern theme with a one-of-a-kind design that was designed just for your niche. Thanks to a rich choice of features and tools you can easily create a website with an advanced functionality. There are a WooCommerce package, tons of widgets, and a rich choice of plugins that will help you to impress your clients. The theme was developed by top industry leaders, so, you are very welcome to enjoy a sleek design and a high-functionality. In addition, you can showcase the top projects or the most valuable works in elegant gallery. To say more, you also have an opportunity to add more info about your services and company in general thanks to a wide range of pre-made pages. 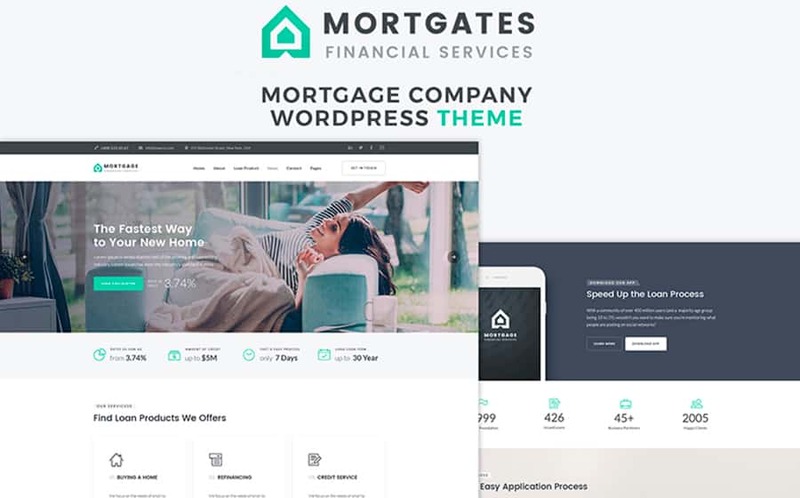 Mortages is a unique WordPress theme that was crafted just for your business. It will take you no effort to customize it up to your needs and spread a word about your new professional website. There is an SEO optimization, crossbrowser compatibility, and a valid semantic coding, so, the first place in search results are yours. 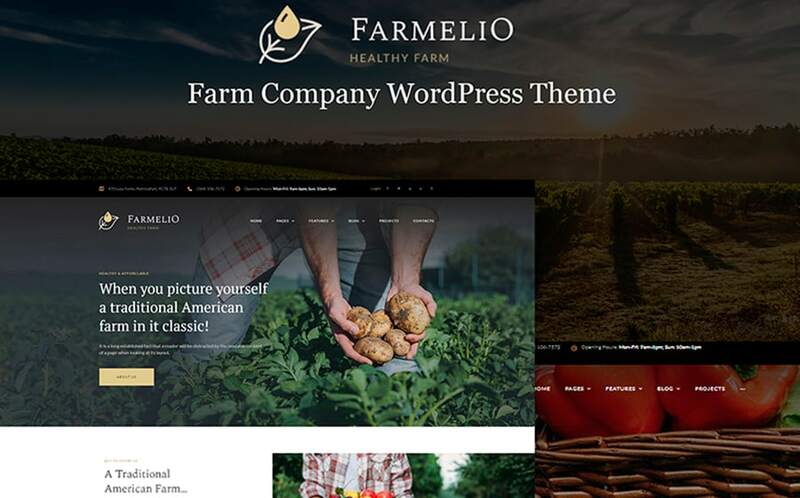 Farmelio is an amazing theme with a great design to stand out with the farm company. The design is fully responsive, so, customers can check your website and ask for this or that services using any digital device. Meanwhile, you can easily highlight the services you provide and your projects in a professional manner. Looking through the business consulting WordPress themes? 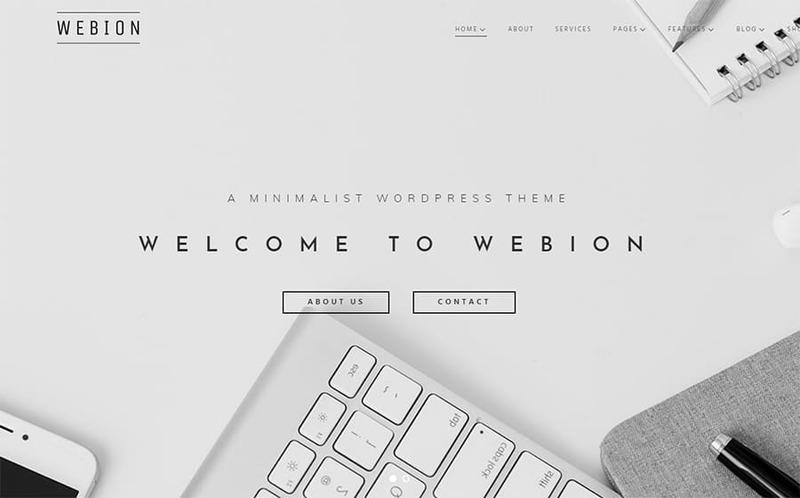 Take a closer look at this minimal theme that will help you to highlight your business at a glance. Thanks to a flat design it will take you no effort to emphasize the content and your company in general. Meanwhile, a wide range of modern tools will help you to enhance site’s functionality. 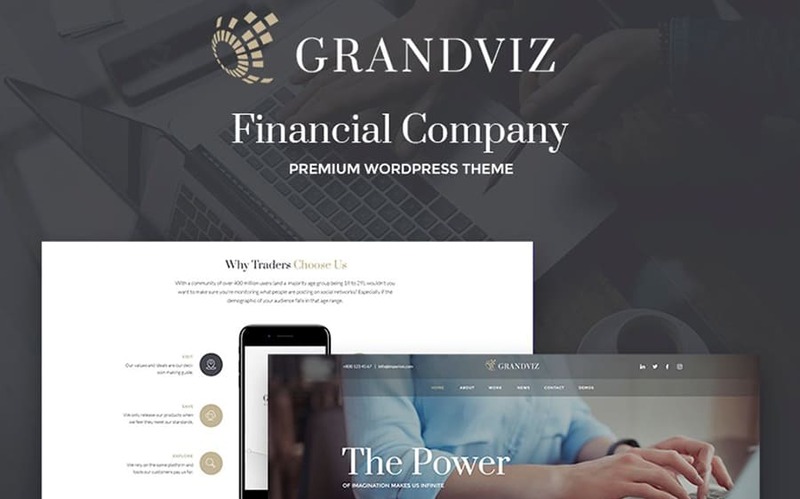 If you need a premium solution for your financial company/agency, then check Grandviz – top-class WordPress theme. It has an eye-catchy design that will highlight your services and capture the audience. Moreover, there are also a wide range of pre-made pages, plugins, widgets, and other features that will help you to create a premium-class website. Thus, there is an indisputable fact – pre-made solutions play a huge role in improving your business (whatever it is). 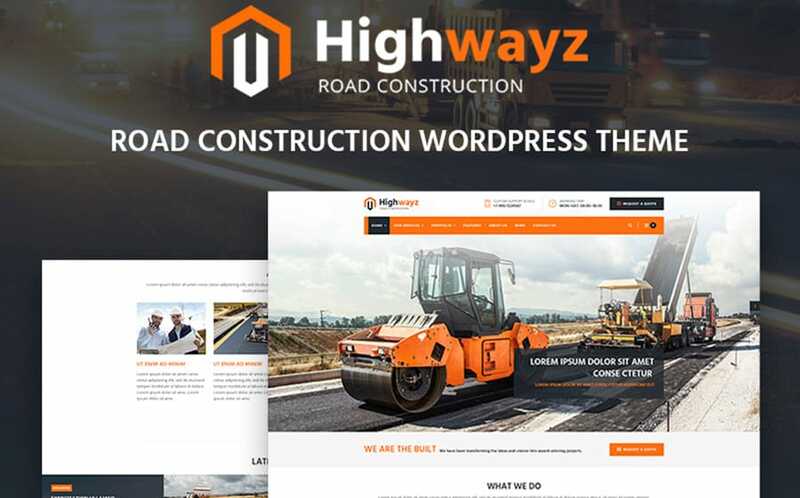 Furthermore, as we can see from above, these business WordPress themes allow you to stand out with a professional website even without any coding skills. And at the same time, these themes have an advanced functionality and a rich choice of pre-loaded features. Therefore, choose the best theme for your purposes and tell the whole world about your business. Good luck to you! And stay tuned for more!